This month we also have a great competition for you. We have one copy of PAUSE by Paul Fleming to give away, two copies of The Better Son by Katherine Johnson to give away, one copy of Dunstan and Theodore by Sharon Booth to give away, and one copy of Undertow by Susan Austin to give away. Phew! Drop our Community Engagement officer Ruth an email on ruth@taswriters.org with ‘November Reading Competition’ in the subject line, and let her know which book or books you’d like to be in the running for. Winners will be selected at random on Thursday 1st December and notified by email. 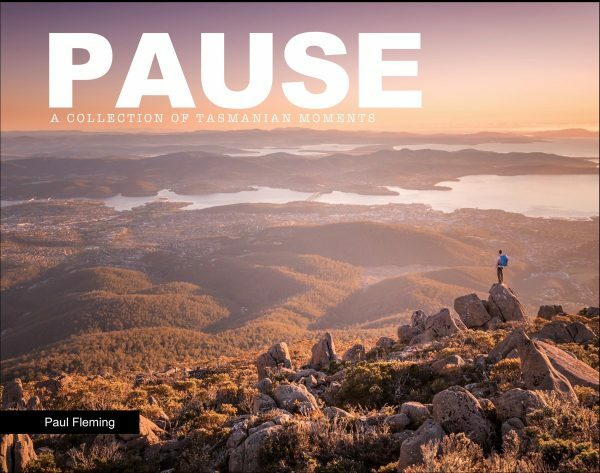 PAUSE is a compilation of images from around Tasmania, all taken by photographer Paul Fleming, and accompanied by a moment of prose also written by Paul. This stunning book also has an introduction written by Bob Brown. Over the past few years Paul has become well known on social media for his beautiful images of our island state. This book is his first venture in taking his work offline and into the physical world. He says: “The book represents some of my favourite images from around the island; though this is not a traditional landscape photography book. My style is simple, positive and accessible, focusing on those stunning views, vistas and experiences most people could also find themselves enjoying; amazing moments that may require only a short walk, a scenic drive or the ability to function before the sun rises. This collection is a real work of art, and an essential addition to the bookshelves (or coffee table!) of every proud Tasmanian. Katherine Johnson‘s story of northern Tasmania in the 1950s is a rich and imaginative novel about secrets, family, forgiveness and the immense power of the island’s unique natural landscape. For two young brothers, a hidden cave a short walk from the family farm seems the perfect escape from their abusive, shell-shocked father — until the older brother goes missing. Fearful of his father, nine-year-old Kip lies about what happened. It is a decision that will haunt him for the rest of his life. Fifty years later, Kip — now an award-winning scientist — has a young son of his own, but cannot look at him without seeing his lost brother, Tommy. On a mission of atonement, he returns to the cave they called Kubla to discover if it’s ever too late to set things right. To have a second chance. To be the father he never had. 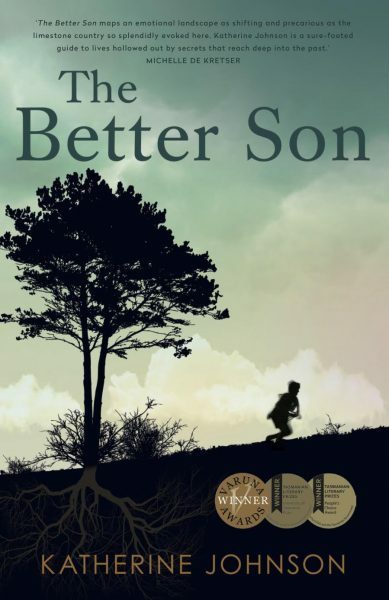 The Better Son was a double winner at the 2013 Tasmanian Literary Awards, winning both The University of Tasmanian Prize and the People’s Choice Award for an Unpublished Manuscript by an Emerging Writer. It also won the Varuna HarperCollins Manuscript Development Awards 2013. It is Katherine Johnson’s second novel. Launceston-based Sharon Yaxley is a creative Visual Merchandiser who also works as a teacher assistant. 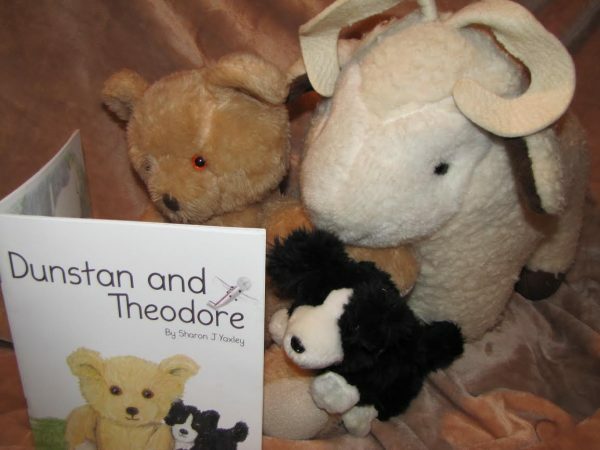 This adorable tale for young children – Dunstan and Theodore – is her first book. Sharon says, “Dunstan and Theodore was created in memory of my dear friend Ellen Warren. Ellen made bears, over 200 bears, and Dunstan is my bear from her. Theodore was Ellens “stuffed” dog. After she passed, I decided to write a story for her great grandchildren in her memory. They all have a bear too. Ellen was also a pilot and the plane in the book is her plane and call sign. The story just happened one morning and the illustrations took a while to gestate. I needed to bond with the characters. It has been a very fulfilling experience that has unleashed a desire to do more. The second book in the series, Theodore Swims in the Sea, is at the designers and I have another in action on the art table. All the books feature Tasmanian locations. 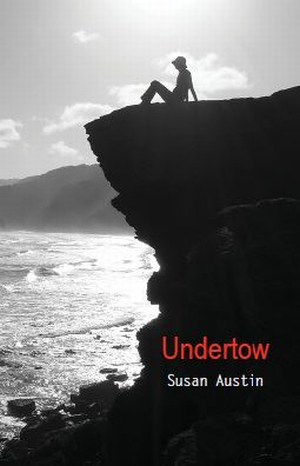 Published almost five years ago, Undertow was Tasmanian poet Susan Austin’s first published collection of poetry. 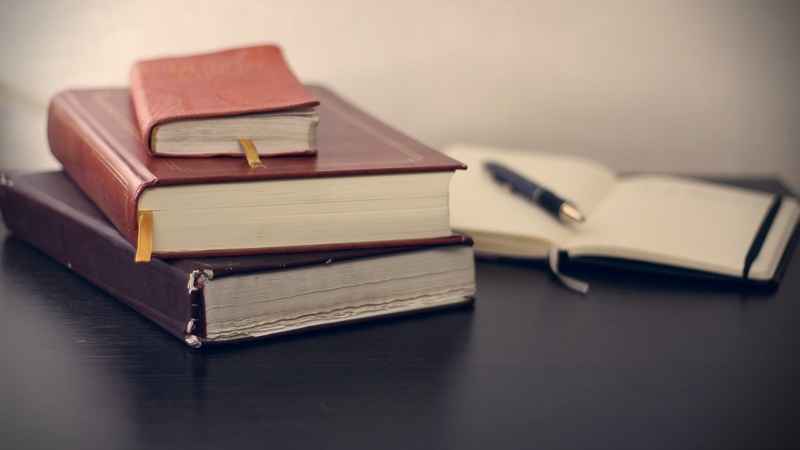 Many of them poems contained within had previously been published in anthologies and literary journals, including Green Left Weekly, Blue Giraffe, Tasmanian Times and Poets’ Republic. They are accessible, personal poems which shine a light on the magic of everyday moments. For a fuller review of Undertow, please visit the Verity La website.